Life in Utah is incredible! The beauty and variety of the wilderness areas in this state are unmatched…you could hike a new trail every week and still never run out of great places to explore. Most people (even out-of-staters) know about some of the best hikes in Utah, especially because we have FIVE amazing National Parks within our boundaries. 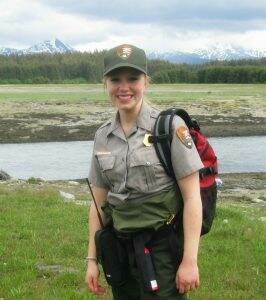 My goal with this list is to provide information about some of the lesser-known hiking trails available….many of these trails are straight from my own bucket list that I wanted to share with you! Thanks for supporting Dirt In My Shoes by being here and joining my Facebook community. I am grateful to have you along for the ride and would love to hear about your experiences and favorite places in Utah in the comments below! This list is not meant to be all-inclusive, but I hope to give you a great taste for what is out there. I have included trails for every skill level…from short, easy, and kid-friendly to grueling, long, and remote for the most avid hiker. My hope is that there are a few trails on this list that you have never heard of and can’t wait to try! I want to say a special thanks to all of the amazing writers who supplied me with the information for these trails. 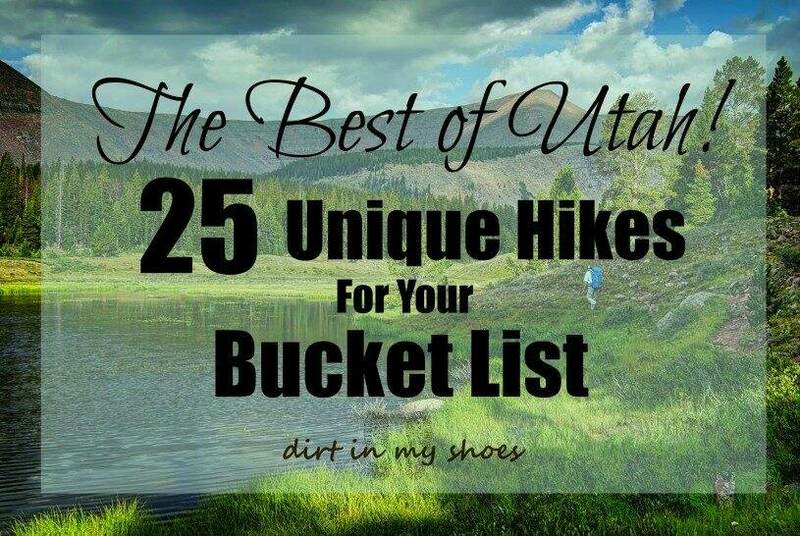 Click NEXT to see this awesome collection of 25 Unique Hikes For Your Bucket List! Should weather at Bryce be something I should be concerned about during last week of November? Traveling with a 5 and 7 year old kids. Same question for Zion and Arches. Bryce Canyon often has snow that time of year, but they do a great job of keeping the road open whenever possible 🙂 Zion and Arches should be quite pleasant though! Looking to do day hiking in late March of 2019. I will check out your itineraries further but should I be avoiding any area in Utah when I am looking at the hikes because it is still March? Bryce Canyon will still be covered in snow 🙂 It’s beautiful that time of year if you’re willing to put up with the cold, but some trails are closed. Zion, Arches, and Canyonlands are generally nice in March. Capitol Reef is cold but usually accessible. Have fun! Are all of these pet friendly? Dumb question but wasn’t sure if they were? Planning a trip to hike and experience in early October. Flying to Mccarran, rent a car, and hit Zion, Bryce and Grand Canyon. Stay at each one at least 2 days. Trying to narrow down excursions is daunting. Best not to miss for family of 4 (youngest is 18) that are not in great shape but don’t want totally unchallenging and major people attractions. Suggestions??? on not to miss places? That will help you see the best of the parks in the time that you have. The itineraries also help you hit the popular spots during the least crowded times of the day. I think you’ll find them to be exactly what you’re looking for! You’ll want more time in Zion and the Grand Canyon if you can! I’ve been climbing peaks in the Silver Island Mountains of Utah and I’ve really been enjoying that. I climbed Volcano Peak, Rishel Peak, and Tetzlaff Peak this fall. I always had the mountain to myself. Great place if you’re looking to get away from it all. Thank you! I’ll have to look into that! Thanks Merissa! I can’t seem to stay away from Zion….what a beautiful place to work!! I definitely include this on my list. Thanks for the post. Just found your website via Pinterest. It looks fantastic! Planning a trip to the Utah national parks in October and will be referencing it for hikes to take. I’m glad to have you Harold! Let me know if I can help you plan your Utah trip! What a great roundup! Love the variety. Arches and waterfalls, a little something for everyone. Thanks for organizing such a great post! Thanks Katie! I can’t wait to visit Horseshoe Falls! Thanks for the mention! Great list! Thanks Mikaela! I’m excited to make it up to Ogden and try out the trail!